Thanks Abby to help me. Can wait for delivery on Saturday! My mom and I had the most amazing experience with Stephan! By far the best customer service! Thank you. Has a great experience!! Stephan was amazing!! David and Nadhim were SO helpful!! I couldn’t be happier with their service!! I love their furniture, looks and quality and price. I had an amazing experience at this store. The service was great! I also noticed that this store has a lot from you to choose from. 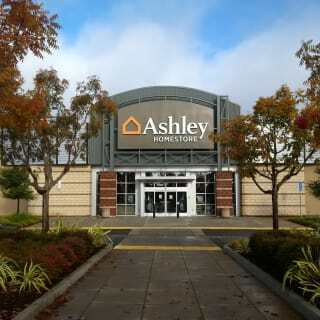 I went to 4-5 other furniture stores and I didn't find anything as great as Ashley furniture. Special thanks to Abby and the store manager for giving us a great deal! David and Abby were great help and very knowledgeable. Very nice sales lady..know her stuff. Thanks. Always Ashley. My boyfriend and I had a great experience here all thanks to an amazing salesmen named Joe. From start to finish he was extremely helpful without being pushy or overbearing. He had an awesome sense of humor and was clearly very comfortable in his job. He was knowledgeable on the stores products and was willing to take the time to check on things if he was unsure. He is a model of what a good salesmen should aspire to be! We went in to look around and we ended up buying a couch and dining set that we LOVE! We will definitely be back and we will refer anyone to this store! Ashley Furniture is amazing. I recently went in when I decided to remodel my home, and Sahar was able to help me build the perfect look for my home and my style. I will definitely be back! We had such a great experience at Ashley. All the furniture was beautiful, we were able to furnish 4 rooms at a great price, and what caused us the most stress was finding pieces that matched well, and Sahar was amazing helping us with the design as well as staying on budget. Ashley furniture is a great store but being able to work with people like Sahar are what make it exceptional! Juan carlos fue muy amable desde el prinsipio asta el final. Muy pasiente y ayudable. Juan Carlos was great! Me and my husband came in looking for a couch and were just amazed with the professionalism we received from Juan. He listed to out needs and gave us feedback and ultimately leading to buying a couch we absolutely love. Will definitely come back for more furniture and buy with Juan. Loved this store! Very clean and organized with a lot of decor ideas. The customer service is great. I was helped by Carlos who was very attentive and helpful. I"m very pleased with my purchase and experience at this store. My time spent at Ashley Furniture was made great because of Joe! Joe was an extremely knowledgeable and passionate sales representative who treated us with respect and integrity throughout our experience. We felt that Joe was trustworthy and helped us make an informed decision that will be a wonderful investment for years to come. Thank you! My experience at Ashley was awesome. Gina was tremendously helpful in recommending products and providing interior advices! It was an amazing. I just got delivered and love all I purchased. Jina help me to find the right things for my living room. She has good eyes for interior. If you need any ideas for doing your home, you should definitely ask for Jina. Me encanto el servicio y la atención que recibe de Juan Carlos. Soy una persona bien detallista y el no se dio por vencido cuando algo no me gustaba. Oh y también habla y explica muy bien en español. Gracias Juan.